Forest is the name of the new chair series by the manufacturer Fast designed by Robby and Francesca Cantarutti. 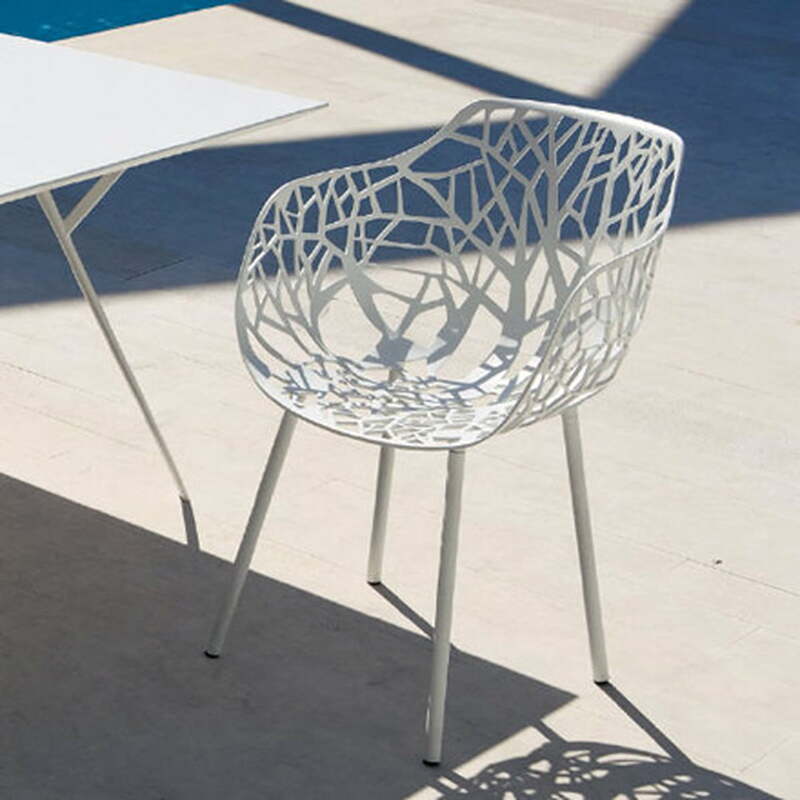 The organic-looking chair is available in different versions for indoor and outdoor use. 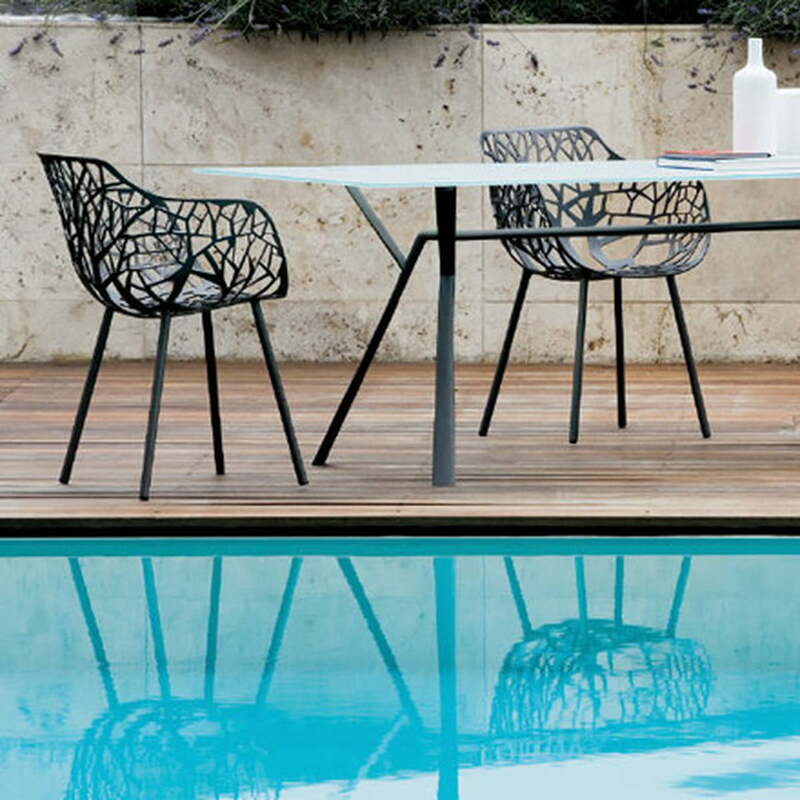 The outdoor version offered here is made of powder-coated aluminium. 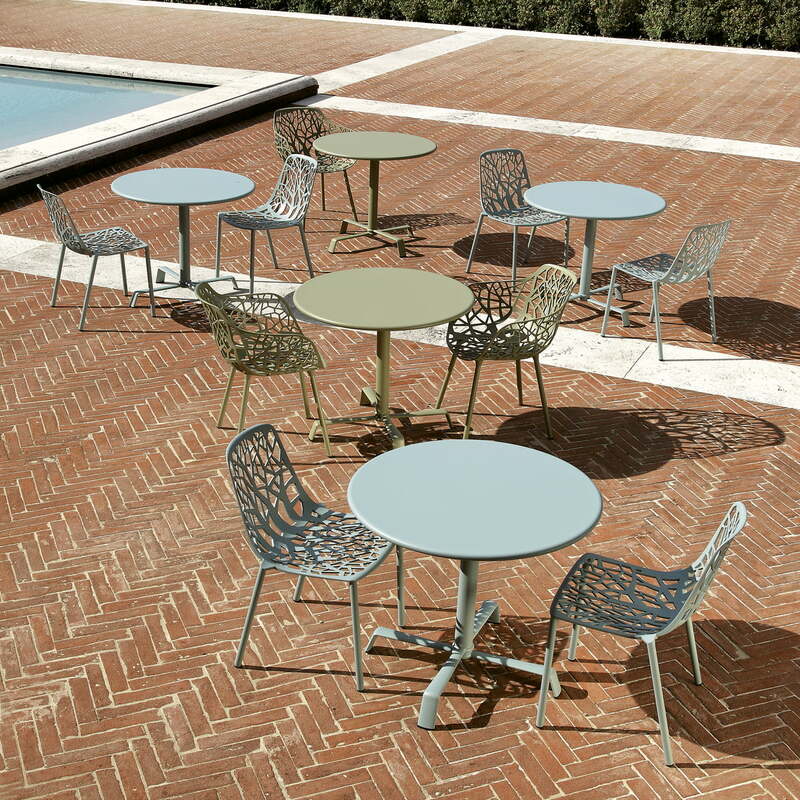 Forest will win you over with its high seating comfort and an unmistakable design. 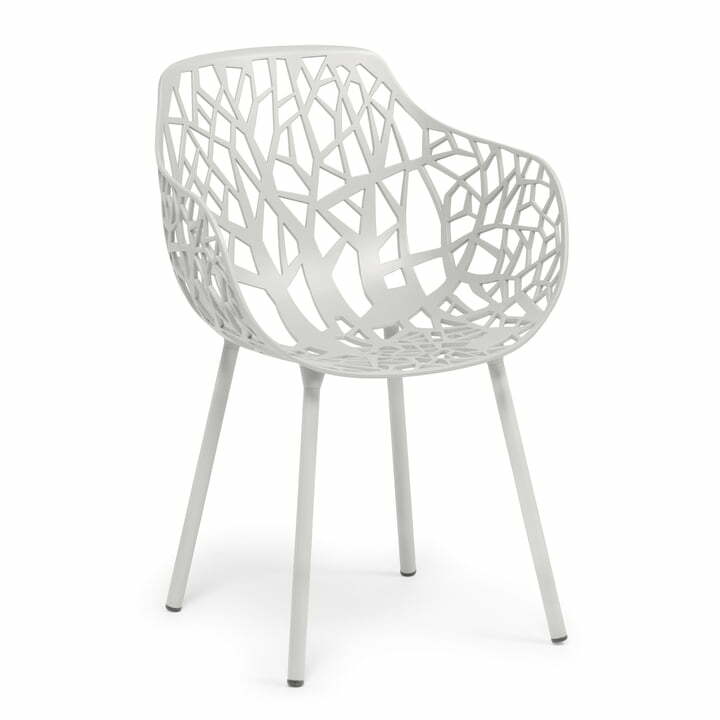 The branch-like structure on the seat is reminiscent of a forest, to which this filigree garden chair owes its name. In addition to the standard colours black and white, Forest is also available in special colours that will highlight any room. There are also single-sided, slip-resistant, felt seat cushions available for Forest.